Search Engine Optimization or SEO is a crucial method to gaining visibility to your website. It is important to start and continue an SEO campaign to ensure your website satisfies search engine algorithms and helps increase your website’s visibility by optimizing for keywords and key phrases pertaining to your products and services. It is also important to have an ongoing SEO strategy to ensure your content is continually updated and fresh to search engines, who reward new content. Call 630.995.7109 today to find out more about our SEO packages and how Search Engine Optimization can increase your web presence. You can also fill out the contact form located on this page and one of our SEO Specialists will get back to you as soon as possible. Search Engine Optimization’s main goal is to increase your website’s visibility and help your rankings on search engine results pages. Why is this important? It’s important because 75% of people never scroll past the first page of Google. Even more important, 60% of clicks go to the search results in the top three spots. 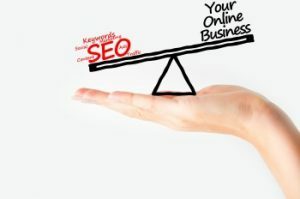 When you partner with us for Search Engine Optimization, we get to understand you, your products, and services to develop a keyword strategy based on your niche and base. Our keyword research is extensive and we look for search volumes of those keywords to make sure you are targeting keywords that are highly searched. This helps ensure the right people find you. When we create content for your website, we make eye catching calls to action to help with conversion rates. If you have any questions about our SEO packages or would like more information on our other digital marketing services, call us today at 630.995.7109. Or simply fill out the contact form on this page and we will respond shortly.